“You see yourself in the light and the light in yourself,” said Flynn Talbot, a famous light art designer. 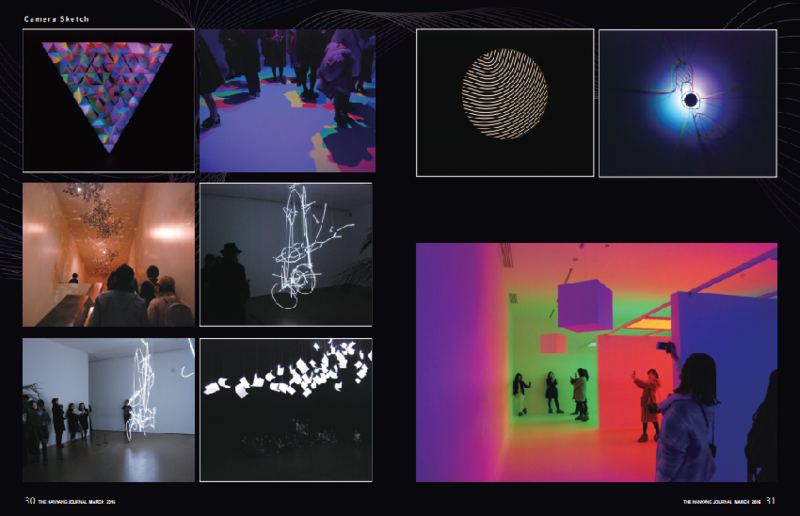 The nine worldwide artists provide nine rooms which are composed of sculptures, video, sound and light designs. It presents expansion process when the lights are combined with sensory elements such as color, movement and sound. 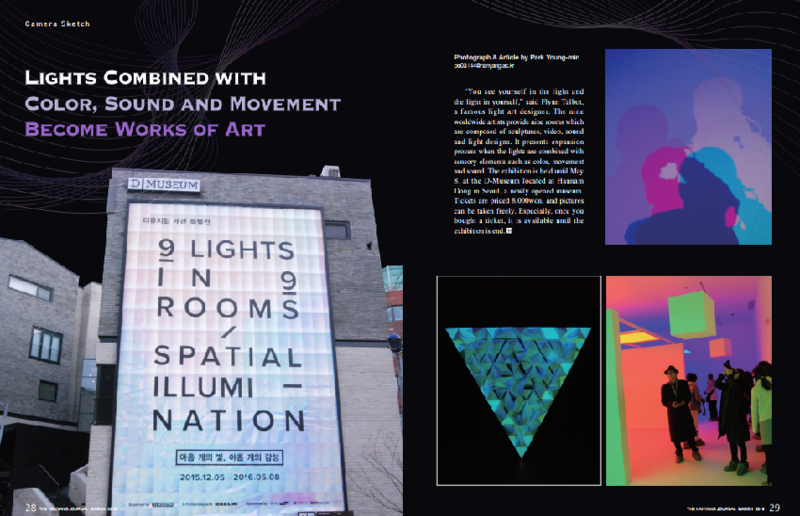 The exhibition is held until May 8, at the D-Museum located at Hannam Dong in Seoul, a newly opened museum. Tickets are priced 8,000won, and pictures can be taken freely. Especially, once you bought a ticket, it is available until the exhibition is end.